EMC Planning Group assisted with the design, planning, permit application and approval process of the proposed Treebones yurt campground on the Big Sur Coast. The proposed improvements include campground facilities, which consist of camp sites for tents and yurts (tent structures supported on slightly elevated wooden platforms), support facilities and employee housing units. 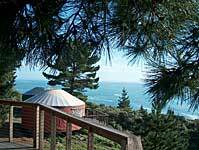 The project aimed to provide a range of campground accommodations, including yurts, which are a new type of accommodations for the Big Sur Coast, in order to allow visitors to have a choice of amenities and price options to suit each visitor’s desired camping experience. During the conceptual planning phase, EMC Planning Group was responsible for obtaining information for consideration during plan development, including review of land use regulations and site opportunities and constraints. Following development of project plans, EMC Planning Group was responsible for preparing and coordinating technical reports, including preparation of a General Development Plan and Biotic Resources Assessment, and coordination of archaeologic, geologic, geotechnical, water use, drainage and erosion control, and traffic studies. EMC Planning Group also provided a thorough consistency analysis of the project with regard to the Monterey County Local Coastal Program, Big Sur Coast Land Use Plan and Monterey County Zoning Ordinance (Coastal). EMC Planning Group was responsible for coordination of all permit application materials and reports and preparing the Combined Development Permit Application package, consisting of a Coastal Development Permit Application, Design Approval Request, 30 Percent Slope Waiver Request, and several technical reports and plans, which was submitted to the Monterey County for consideration. 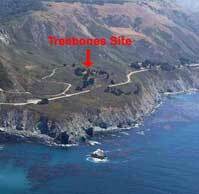 The Treebones campground project received unanimous approval from the South Coast Land Use Advisory Committee and Monterey County Planning Commission, and was approved by the California Coastal Commission.